The faculty of Applied Sciences at TU Delft offers a wide variety of projects, courses and modules to foreign students. As an exchange or free mover student you can follow part of a Master's programme, or take individual elective courses up to 30 ECTS per semester. All Master's programmes at our faculty are taught in English. Most Bachelor’s degree programmes are predominantly taught in Dutch. One exception is the Bachelor’s degree programme in Nanobiology, which is fully taught in English. Exchange students are students participating in the Erasmus+ exchange programme, or students from a university outside Erasmus that is a partner university. More information about exchange students can be found on the website of our Central International Office. Please check with the international office of your home institution to see if you can come to our faculty at TU Delft through the Erasmus+ exchange programme. 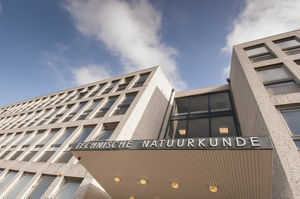 Courses and projects at the Faculty of Applied Sciences. If you’re interested in taking courses at our faculty, please check our digital study guide for details about the available courses. You will compose a study plan based on the courses offered in the current academic year, bearing in mind that changes may occur next year. You can also choose to do a project at our faculty (combined with courses if you like). We strongly encourage you to take a pro-active role in finding a project supervisor yourself. The first step is to contact an academic at one of the departments within our faculty (maybe someone you have already been in touch with or are planning to collaborate with) and ask for approval. More information about the departments of the faculty of Applied Sciences can be found at Departments faculty of Applied Sciences.